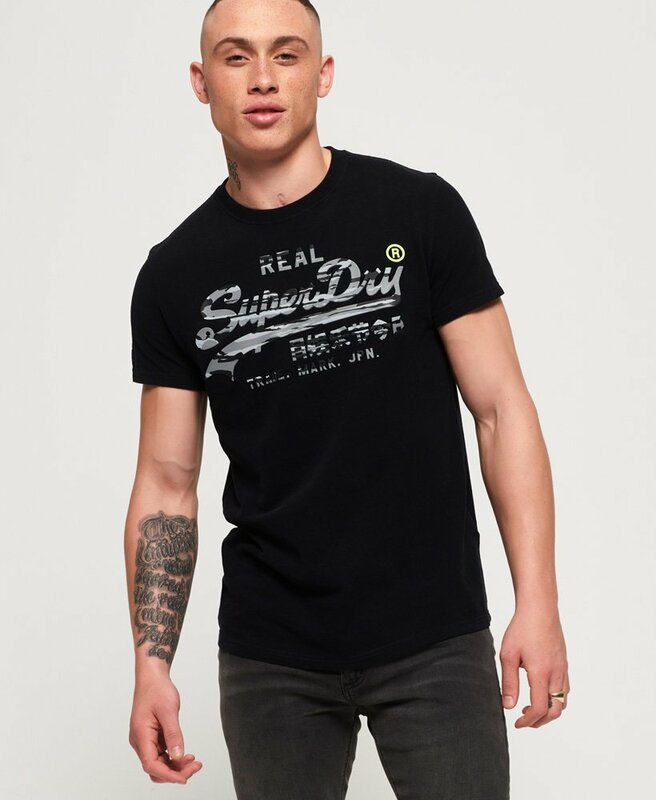 Superdry men's Vintage Logo camo infill t-shirt. This cotton tee is an update on our classic Vintage Logo design, featuring a camouflage version of the iconic Superdry logo across the chest in a high build print. This tee also has a crew neck and a Superdry logo patch on the sleeve. Style with jeans and boots for an everyday look, or keep things casual with joggers and trainers.